When you start building wealth, it makes sense to pay more attention to your tax situation, and what your tax situation is likely to be like in a few years. This is about more than just trying to figure out how to reduce your tax liability for the next year, or even figuring out how to be more tax-efficient during retirement. If you really want to get into long-term tax planning, you’ll also think about how your estate will fare when you pass on. If you want more of your money to go to your heirs, rather than a large chunk of it going to Uncle Sam, it makes sense to start giving out a few gifts right now. The way the gift tax law works is this: The tax is paid by the giver, not the recipient. 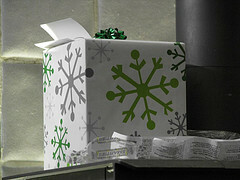 A recipient can receive gifts and not be taxed on them. It seems a little hard that the giver has to pay taxes, though. However, even though the law states that the gift giver pays taxes on the gift, not everyone has to do this. There is a gift tax exclusion. Basically, this means that you can give gifts of up to a certain amount without paying the tax. For 2013, that amount is $14,000. You can give $14,000 per individual, and your spouse can also give that amount. So, if you have two grandchildren, and you want to give them money gifts, you can give $14,000 to each, for a total of $28,000. Your spouse can also give them each $14,000, bringing your total household gift-giving to $56,000 for the year. The gift tax exclusion is based on inflation, so it can rise each year. There is also a cap on how much you can give over a lifetime. For 2013, that amount is $5.25 million (it’s slated to go up to $5.34 million in 2014). If you are concerned about estate taxes and inheritance taxes, giving gifts now can be a great way to reduce the tax liability associated with your estate and what you pass on. By giving away your inheritance now, you can watch your heirs enjoy your generosity, and reduce the size of your estate at the same time. The federal estate tax kicks in at $10.5 million (as of this writing), and your state might have a lower threshold. As a result, it makes sense to reduce the size of your estate, especially if it is beyond the threshold at the federal and/or state level. You can also reduce your heirs’ requirement to pay the inheritance tax on what they receive. If they have already received the money as a gift, then they don’t have to pay taxes on it. There’s no reason to hoard your money until you die if you have enough to give a few gifts now. You can take advantage of the gift tax exclusion to reduce the size of your estate, and to make your children and grandchildren happy right now. What could be more fun than watching them use their inheritance?